Target audience: Startups, businesses, brands, digital marketers, advertising agencies, SEO specialists, entrepreneurs, educators, journalists, Web publishers. Starting up a new business is a special undertaking that requires a lot of preparation, planning and action. Lots of things should be executed well to ensure that the business gets off to a great start. However, startups often face serious issues that can prevent them from growing further, such as a lack of clients. That’s a serious challenge — no customers or clients can mean no revenues. Increasingly, today’s marketers working with startups or small businesses with bare-bones budgets point to social media because it basically amounts to an enormous base of potential leads. Social media platforms are thus at the forefront of customer acquisition strategies of many modern startups, and some of them completely rely on social media. If you face the issue of finding customers, exploring what social media can do for your business just makes sense. Let’s review some of the reasons why your startup needs social media marketing to attract new clients or customers. 1Do you want to have a large volume of visitors coming to your website on a daily basis? Social media can do that! Creating posts on your business page on Facebook, Instagram or other social media platforms is great because they can be viewed by hundreds and thousands of potential leads every day. However, this can happen only if you post information that is useful for the viewers and persuade them to click on the post that redirects them to your landing page or pages with a call to action. As the result, social media is bringing new leads and can reduce up to 45 percent of marketing costs. 2A person’s profile on social media is a window into their world that allows us to get insights into their lives. What that means to you as a startup owner is that you can get to know what is interesting for people and why they’re buying particular products. Having this insight provides you with a powerful advantage because you can provide the information the people need in their posts. According to a recent survey by J.D. Power & Associates, more than 80 percent of satisfied customers claimed that their online interaction with the company “positively influenced” their likelihood of making a purchase from them. Amazing, no? 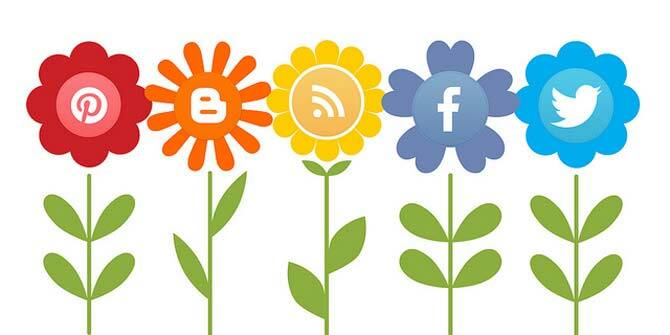 3More than 90 percent of companies use more than one social media site to attract new clients. A marketing expert from writing company Proessaywriting suggests that this trend is likely to continue because half of all adults use at least one social media platform (Facebook, Twitter, etc. ), and this number increases every year. Apparently, the brands will continue to battle for the customers’ attention on social media because this base is expanding with the speed of light. Your business should not miss this opportunity as well. 4Before the era of social media, companies spent lots of money on advertising while others could not enjoy this luxury because of smaller marketing budgets. Today, however, the rules of the marketing arena have changed because even startups with small marketing budgets can engage as many leads as large ones. Any startup or business can reach new customers by offering valuable content (not marketing schlock). For example, if you offer website visitors the summary of an important marketing report by posting the highlights on social media, they don’t have to pay big bucks to get the report itself. 5Let’s back this up by examining some figures. Facebook has helped around 70 percent of B2C companies to acquire clients in 2014, and this number is expected to increase. Next, according to Lenati, more than 80 percent of managers and CEOs use social media to make purchasing decisions. All these data suggest one thing: Social media plays a significant role in helping to generate more sales. Your startup needs to be one step ahead and stay visible on Facebook and Twitter to ensure that the clients will consider it as a good purchasing option. Here are some good tips on how to improve your posts. If you’re struggling with finding new clients, consider social media marketing. No, it’s not about posting photos of random funny stuff — you can use it for some serious client prospecting and lead generation. And you can’t beat the price. Michael Gorman is an expert blogger in London. Michael stays on top of the trends in blogging, digital marketing and social media. Feel free to contact him on his Facebook page.